Unlike many of my fellow Americans, who don’t usually give much thought to our neighbor to the north, I have always been interested in Canadian culture, politics, and geography. This began in my childhood, as I longed to visit the Montreal world’s fair known as Expo and poured over glossy brochures from the Canadian tourist authority. As an adult, I’ve marveled at the Canadian single-payer health system, with hopes we could do the same here with so little controversy (seemingly impossible), and their early leadership in pursuing marriage equality. So I jumped at the opportunity to learn first-hand about Canadian government as a fellow in the Health and Aging Policy Congressional Fellowship Program this year, with the hope that it could benefit my teaching at Yeshiva University’s Wurzweiler School of Social Work. Through the fellowship – a selective Washington, D.C.-based program that trains health care faculty and clinicians on federal policymaking – I’ve had the great privilege to immerse myself in the federal policymaking process. Last fall, I spent several months gaining perspective from government and academic leaders on the intricate working of the legislative, executive, and judicial branches. This past May, I joined a small group of self-selected fellows for a trip to Ottawa to learn about policymaking in Canada. Partnering with our sister program, the Canadian Parliamentary Internship Programme, our group was provided unparalleled access to leaders at the highest level of Canadian government. This experience allowed exploration of the similarities and differences of the U.S. and Canadian political systems. But most of all, the visit facilitated relationship-building between our two countries – so important between two friends currently encountering some rocky moments. While Americans value “life, liberty, and the pursuit of happiness,” Canadians are said to prefer “peace, order, and good governance.” How do these values play out in public policy? My takeaways are gleaned from meetings with leaders of the governing Liberal Party – including the unofficial number two in Canada (the Minister of Finance) — and the leader of government in the House of Commons; the interim leader of the opposition Conservative Party; the leader of the New Democratic Party; the Speaker of the House of Commons; the Speaker of the Senate; and a justice of the Supreme Court of Canada. Most memorably, our group heard a talk by Canada’s Governor General, following a tour of his official residence. The Governor General is Queen Elizabeth’s representative in Canada; I had not been aware that the British Queen, who also holds the title of Queen of Canada, remains a largely symbolic figure in Canadian government. While Canadians are often described as being polite, I witnessed the raucousness of a parliamentary system. The Prime Minister is the leader of the majority party: Justin Trudeau leads the Liberal Party, more moderate or centrist than the party name suggests. On the right is the Conservative Party, which seemed relatively more moderate than their U.S. Republican counterparts. The New Democratic Party is the more progressive party, towards the left of the Liberals. Debates play out in the national parliament building in Ottawa. Although seemingly scripted, and definitely of great value as “political entertainment,” party members have the chance to raise emotions and voices in support of, or in opposition to, policy and party leaders. Policy leaders need to be able to defend their policies, programs, and reputations from emotional catcalls, unlike anything seen publicly in the U.S. Capitol. During my visit, a Liberal party M.P. needed to publicly defend himself against a scandal involving claims of his over-glorified military roles while serving in Afghanistan. Despite the intensely emotional and vocal public displays in Parliament, there appeared to be greater consensus on how to address social issues. The intense political polarization that exists in the U.S. appeared largely absent. I witnessed consensus among leaders on the left and right on the public good of their single payer health system, although differences on benefits and funding were evident. Canadians by and large value the roles immigrants bring to the country and its economy. The Quebecois separatist movement that had been active for many years seemed largely in the past. And Canadians recently legalized aid-in-dying and are about to legalize marijuana use, both highly contentious issues in the U.S.
For me, the most moving discussion was led by a First Nations (native Canadian) senator and former chief commissioner of the Truth and Reconciliation Commission, which exposed decades of the Canadian government’s forcibly removing indigenous children from their parents, in the hope of acculturating children in “white people’s” culture. It was intensely moving to hear of official attempts to recognize and remedy past wrongs. Comparable U.S. commissions have yet to be empowered to address the impact of slavery or the treatment of our native communities. Unfortunately, this is a tense time between close friends and allies. Canadian leaders were energized to point out the importance of close U.S. and Canadian relationships and the interdependence of our economies. The great monetary value of trade on both sides was emphasized, and how products (such as cars) are assembled from parts made throughout North America. We were frequently reminded of the current timber conflict between our countries – an issue of great economic import that I (and most Americans) have been largely unaware of. 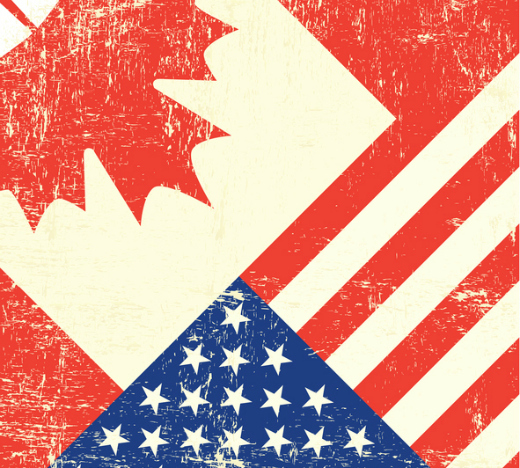 While many Americans hardly thought about Canada (at least before our last election), it was clear that Canadians recognize, think about, and value good relationships with their great neighbor to the south. 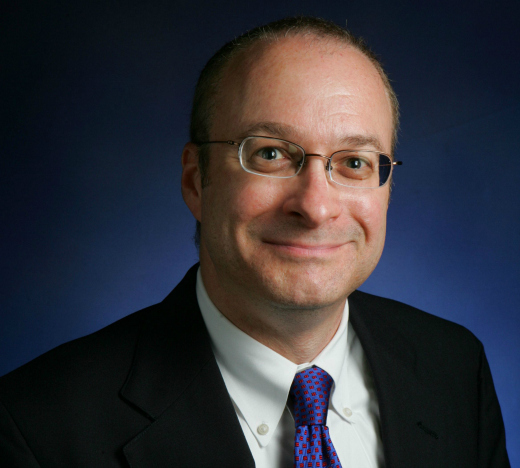 Gary Stein is a professor at the Wurzweiler School of Social Work. Opinions expressed are solely those of the author and do not reflect the views of Yeshiva University.